With 259 murders this year so far, Chicago is seeing a 21 percent increase in the number of homicides compared to last year, according to recent figures from the city’s police department. 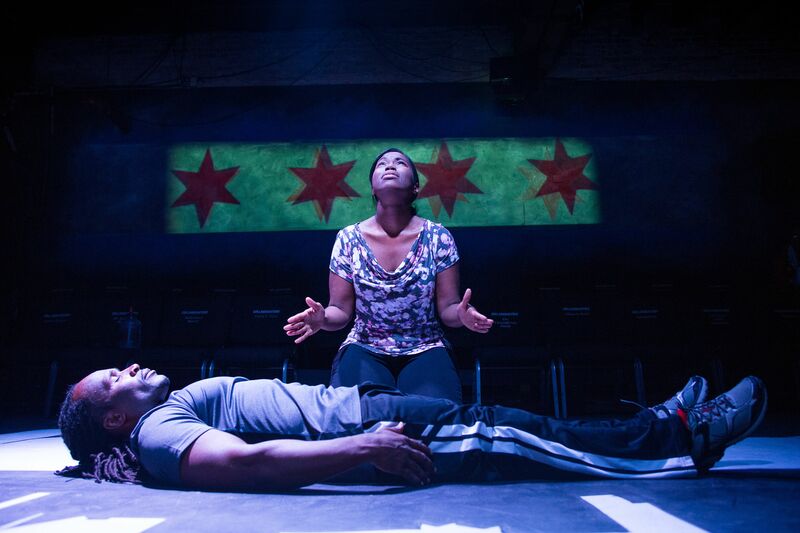 This fact isn’t lost on the theater group Collaboraction, which is currently touring the city with its new production Crime Scene: Breathe Life, a follow-up to its critically acclaimed 2013 play, Crime Scene: A Chicago Anthology, that examined gun violence in the city. Drawing from newspaper articles, newscasts, and firsthand accounts, Collaboraction's latest production tells five different stories that examine how gun violence is playing out across the city. Among those stories is the fatal shooting of 15-year-old Hadiya Pendleton, a King College Prep student who was killed just over a week after performing at President Barack Obama’s inauguration in 2013. Anthony Moseley, the artistic director for Collaboraction, says Pendleton’s parents helped co-write the script and worked closely with the production. In the video, above, we talk to Moseley and Sir Taylor, who tells his personal story with violence in Crime Scene: Breathe Life. Below, photos from the production. Collaboraction artistic director Anthony Moseley. Dome of Dance, a dance competition, kicks off Friday night 'Crime Scene' performances. Watch a trailer for Collaboraction's Crime Scene: Breathe Life.